Mr. Yoon Sock-Joong has been appointed effective Feb. 1, 2016 as secretary general of Indian Chamber of Commerce in Korea (ICCK). Yoon has previously served as minister for Public Affairs at the Korean Embassy in the United States and the secretary to the President for Overseas Communications at the Blue House in Korea. Yoon's previous posts as public official include secretary to the President for Overseas Communications, Office of the President, consul of Korean Consulate in LA, USA, and assistant secretary to the President for Foreign Media, Office of the President of Republic of Korea. Prior to this public service, Yoon was a researcher at Judicial Policy Research Center of South Korea's Supreme Court. 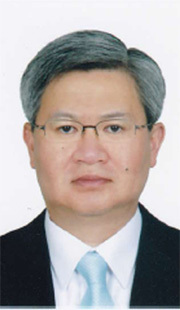 Mr. Yoon succeeds Mr. Kookhyun (Edward) Chang who stepped down from the role effective Jan. 31, 2016. Chang was the founding secretary general of ICCK and has served ICCK since 2010 under three successive Indian ambassadors to ROK as well as three successive Chairmen in the last six years. Chang will continue to serve ICCK in the capacity as Senior Advisor till further notice.